Beautiful farm home at end of cul-de-sac with wrap-around front porch. Open floor plan with formal living and dining rooms. Kitchen with quartz counter tops and stainless steel appliances opens into eating area and family room with field stone fireplace (wood or gas). Spacious second-floor master suite with vaulted ceiling and whirlpool tub. Walk-out basement with large recreation area and wet bar, BR, BA, and leads to secluded outdoor entertainment areas including patio, in-ground pool, andhot tub. 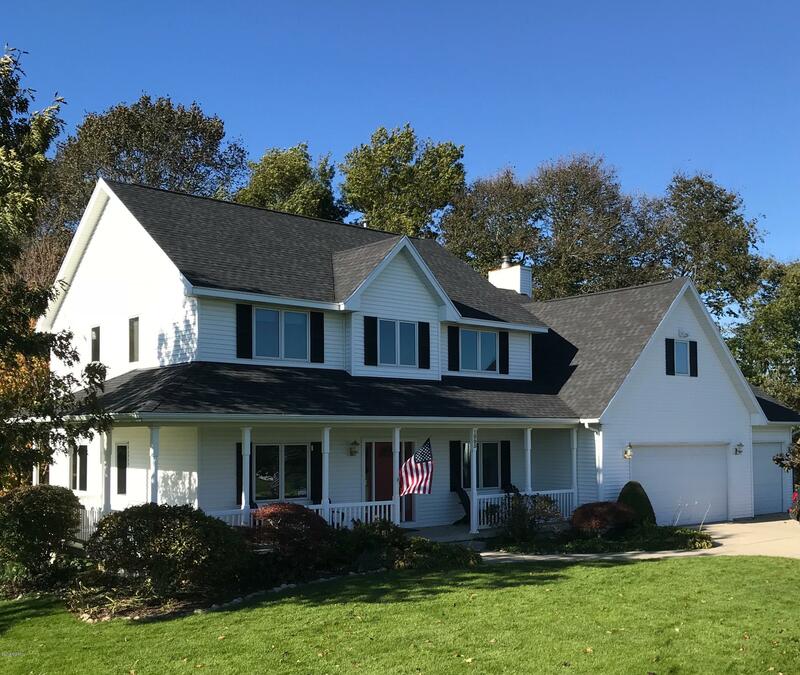 New roof, carpet, and paint. Newer gas furnace (2016), gas water heater (2017), pool pump (2018) and air conditioner (2011). Water softener, humidifier, radon-abatement system, and underground sprinkling system. 3-stall garage with ample storage area. Large lawn perfect for soccer, volleyball, etc. Walking distance to prestigious Forest Hills Eastern Schools. Easy 20 minute commute to downtown Grand Rapids and 10 minutes to Ada.